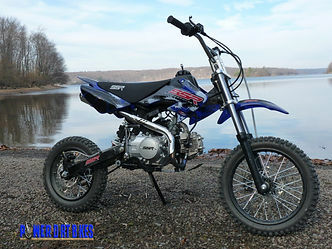 Mini/Pit Bikes General Discussion Anything in general about Mini/Pit Bikes. Never heard of such thing . 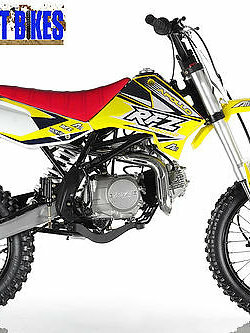 All i know is that its smaller than a 125 but bigger than a 50... they are fun just to fool around on and not get to hurt if you crash. kinda like a mini bike of sorts. got their name as they're used to run around the pits of motocross events and such. I used to help my dad haul fuel to Dirt track car/truck races and a bunch of guys used them to get around. much faster than walking! Last edited by Stagnshcky12; 02-08-2012 at 09:11 PM. basically a smaller bike like a 50 or 110 with a bigger engine. i want one lol. i've alwats wanted to get a klx110 and completely rebuild it. Most of this is actually inaccurate... Pit bikes started out as 50cc bikes for mx racers to travel on in the pits. But naturally competition ensued, so they got bigger, badder, faster. In the following years "pit bikes" were built up little bikes. But more recently, people have gone more extreme with them. 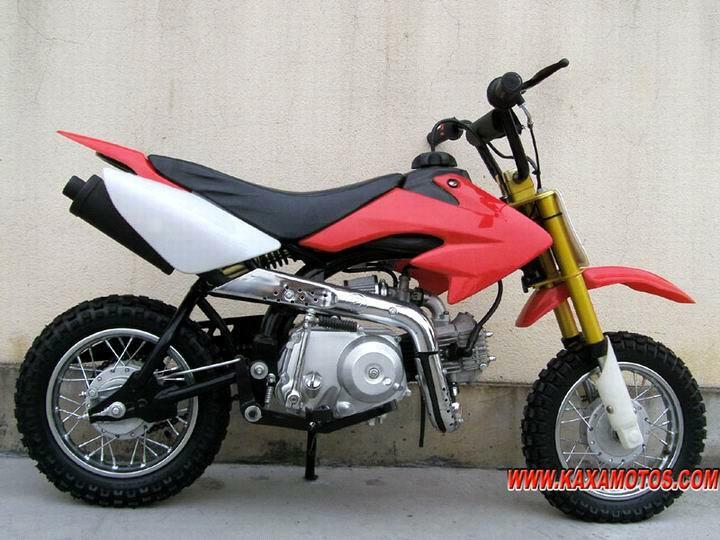 Now "pit bike" Is anything on a 50cc-110cc frame. People have started producing there bikes with 450cc engines, on a 110cc chassis, meaning it is still a pit bike. I've wanted a pit bike for awhile. Small frame bikes, usually with modifications to fit full size adults. Many even have slick motard tires for asphalt riding.